We have organised events before, but I am by no means an events' organiser by trade or reputation. A good thing too! It was a stressful experience to say the least and when one of the other volunteers shared via Facebook on Thursday that he was really really busy and does not actually 'want to be involved with the sound set-up' (after we relied on his relationship with the restaurant, I grew a few more grey hairs and realised just how difficult it is to hold the strings to the drifting balloon gaining momentum and still 'tweet' about its colours at the same time - so to speak. It was, however, an awesome event and we have only had good feedback so far. It was an evening for another non-profit in the spirit of collaboration, and I am glad our own was not mentioned much - if at all. 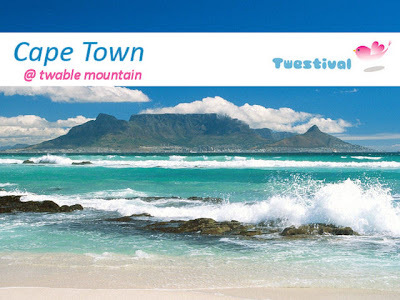 However, the association with, and volunteering for the Twestival in Cape Town was a good decision - it exposed our staff members to an issue that is not central in our development work and also not the biggest challenge in the communities we serve in South Africa. Glad it is weekend... and thankful for friends.